We know that picking out plants for your aquarium can be tough. Even worse you may know little about caring for a floating plant. 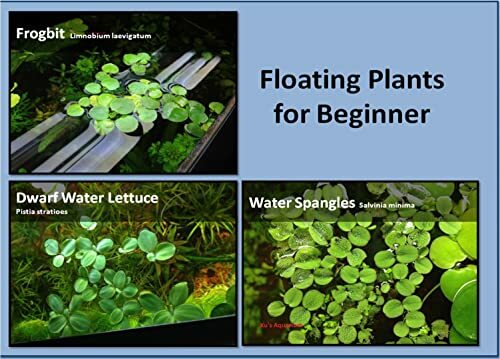 You probably even tried to learn about floating plants, but don’t know how easy or hard they would be to take care of. In many cases, floating plants are easier to take care of than rooted ones. To help we made a list of the best floating aquarium plants. We will also give you some background information on each plant to help you make a decision. 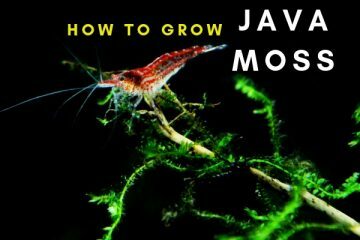 How To Grow Floating Aquarium Plants? So, what are the benefits of having floating plants? For starters, plants can help balance the temperament of your aquarium. They provide a place for your fish to go when they’re uncomfortable. They also look gorgeous when properly kept in a tank. Having a plant in your aquarium, in general, can help out for smaller fish. Many times smaller fish become stressed out in a community tank. This is because small fish are generally prey animals. Their natural instinct is to run or hide when they feel even slightly threatened. Even if your fish isn’t scared they may like hiding in the plants. Plants create a safe place for fish where they can feel protected This can help reduce stress and give your fish a better place to sleep. Some fish may even like to swim in and out of the plant’s roots for exercise. Next, adding a plant creates a more natural environment. If you can add in plants that are native to your fish’s natural habitat it can be healthy for him. Many of the plants that grow in the wild give fish essential nutrients. Nibbling on the roots of your plants can be healthy. Many plants contain nutrients even if they aren’t from your fishes natural environment. For example, Amazon Frogbit contains tons of nutrients that have been proven to help fish. 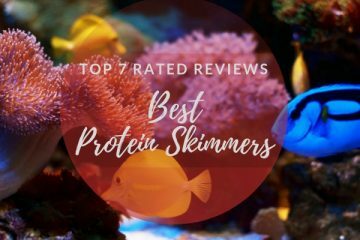 There are even some plants that give your fish a boost in protein by eating them. 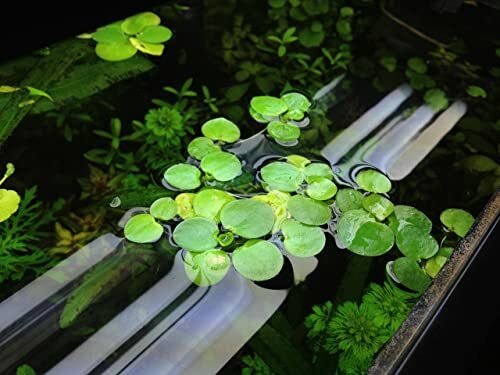 Floating plants are especially good for this and are easier for the fish to get to the roots. If your plant is rooted than your fish would have to dig and possibly get injured to nibble at it. This creates an easy and safe way for your fish to gain nutrients from the plant. Floating plants can also be easier to hide in. Since the roots of the floating plants are hanging down and are close together they create the perfect hideaway. Many fish even enjoy swimming through the roots of plants better. This is because of the unique maze the roots will create. If that’s not enough to convince you to go for floating plants, then we have a few more reasons. Floating plants are actually generally easy to take care of. Floating plants usually even need less light been rooted plants do. You also won’t have to have a strong as light since they’re not deep in the water. Even some weak lights can provide the perfect amount of photosynthesis for a floating plant. Floating plants also reproduce at a higher rate and don’t die off easily. Finally, floating plants are just unique. Many aquariums use rooted plants for decoration, but floating plants are magical. Many floating plants will even flower on top. This can add an elegant look that you don’t see every day into your personal Aquarium. The Cabomba Caroliniana is a plant native to both North and South America. This plant finds it’s home in slow flowing fresh-water. It’s often found growing in layers of mud in the wild. There are both floating and rooted versions of this plant to choose from. The floating version is a great choice for anyone looking for a lush green plant. The leaves of the Cabomba are feathery and extremely green. The leaves are divided into narrow segments and you can expect to receive 5 to 7 segments per shipment. Cabomba does require hotter weather to be shipped in. In colder months of the year, there is a high chance that the plant may die during shipment. If the temperature is set to drop below 20 F don’t place an order for this species. If the temperature is above 100 F skip on ordering as well. Properly taking care of this plant will require some work. For lighting, you will need at least 2 watts per gallon of full 5000 to 7000 spectrum lighting. The water temperature should be kept between 72°F to 82°F, an alkalinity of 3-8 dKH with a pH of 6.5 to 7.5. These plants don’t do well with transplants so pick a permanent spot to put them in. You will need to regularly trim the plants to keep them healthy. For aesthetic purposes, you should try to place the planted in groups. Water Spangles tend to grow on slow moving or still water in the wild. These plants are naturally found in the United States, South America, Mesoamerica, and the West Indies. You can even find Water Spangles growing in marshes or swamps. This plant is similar to clover in appearance. The plants are green with round petals that are covered in white hair. 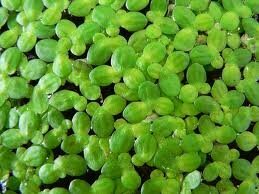 The plants usually grow in sets of three leaves with one growing under the surface of the water. The water spangle is classified as a fern despite its appearance. The plant needs to be shipped within appropriate temperatures in order to survive. In cold months the plants should not be shipped if the temperature is below 35 F. If the weather has been hot then you shouldn’t order these plants if temperatures reach or exceed 85 F.
Water Spangles are generally easy to take care of and will spread if properly taken care of. These plants thrive at 70 F and should be kept in a slow-moving aquarium. The pH of the water should be between 5 to 8. You will get 12 plants with every order you place. The growth rate of these plants is extremely fast. While each individual plant is small, you should take care make sure the plant doesn’t overrun your tank. Also, keep in mind that you will need a plant light in order to promote growth in your tank. If you want a mix of plants then G’z Aquarium Floating Plants Package #1 is perfect for you. This pack provides you with three different breeds of floating plants to use. 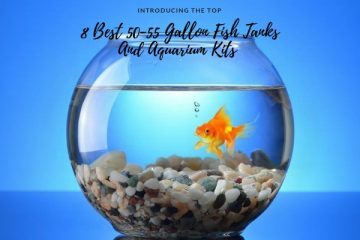 This will give you diversity in your tank environment while making your fish much happier. 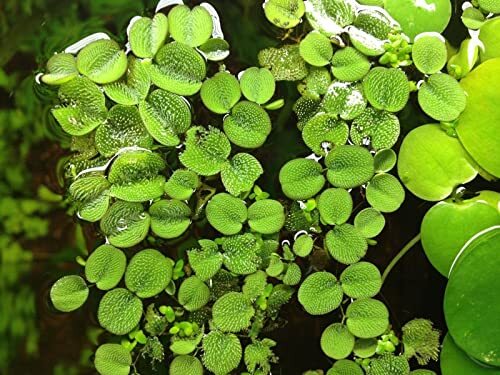 In this pack, you will get 12 Amazon Frogbits plants, 12 Water Spanges, and 12 Dwarf Water Lettuce plants. All three of these plants are about the size of a penny when received. They have fast reproduction rates though, and you should keep a close watch on baby plants. These plants do have some shipping issues like low survival rates of some plants. To increase the chance of having your plants arrive in good health check the weather. If you’re in winter make sure temperatures won’t fall below 35 F. If it’s hot out then check they won’t exceed 85 F.
This package will come with a 100% live arrival guaranteed. If you receive your package and notice that some of your plants didn’t make it promptly let the company know. Each plant you receive should have 3 to 4 leaves on it. Before ordering your plants make sure to research each breed to find out their proper habitat. You will also need a light powerful enough to support the plants in your tank. Finally, make sure that your fish are compatible with the plants. 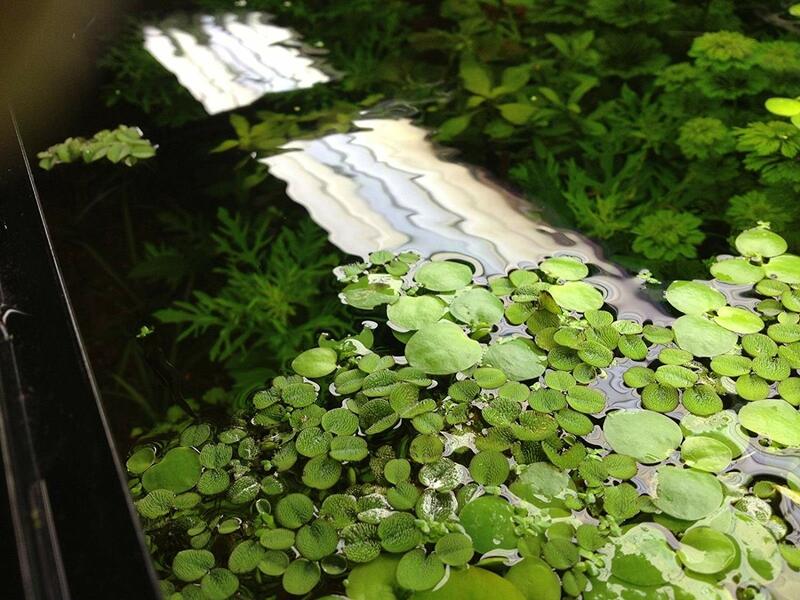 Duckweed plants can be a beautiful addition to your tank. The plants thrive in freshwater environments with still or slow-moving water. Duckweed is an aquatic plant that can now be found growing all over the world. It even grows in some colder areas of the world. The Duckweed plant is light green in color with 1 to 3 leaves. This plant’s leaves are flat with an oval shape. The Duckweed has a single root that clusters itself together with other Duckweed plants. This plant also flowers when it reproduces and is asexual. The Duckweed flower is among one of the smallest flowers in the world. Duckweed is also popular for filtering the water in the tank. The flower is also full of protein and can help feed fish. In fact, this plant is even used on large fish farms thanks to its nutrition value. This plant is easy to take care of and quite hardy in nature. Each Duckweed shipment will come with 200 plants. That’s more than enough to help fill up your tank and provide your fish with more nutrition. This plant needs to be in a pH of 6.0 to 7.5. It will need to be kept at moderately warm temperatures and needs light to properly grow. This plant does reproduce fast, be sure to keep an eye on it so it doesn’t take over your aquarium. The Amazon Frogbit is a popular plant that is easy to take care of. This plant naturally grows in both Central and South America The plants tend to grow in tropical freshwater that is slow moving. Some sightings of Amazon Frogbit have also been reported in the United States. 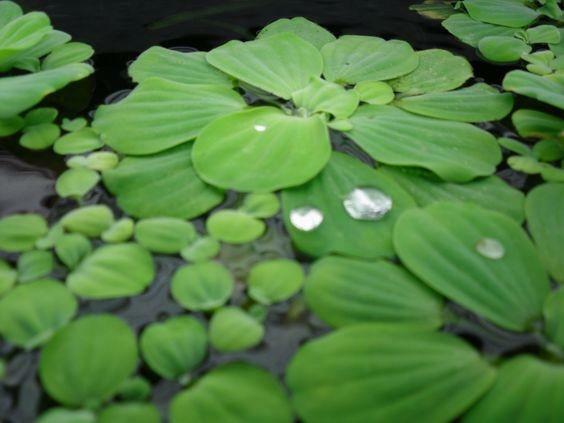 Amazon Frogbit is green in color like many floating plants and has an appearance similar to the Water Lily. The leaves of this plant are generally around 2.5 inches in size. The leaves have a leather-like feel when touched. This plants also produces small white flowers. The best temperature to ship these in is between 35 F to 85 F. Anything below or above these temperatures can lead to plants dying in shipment. These plants also have a live-delivery guarantee. If any plants arrive dead contact the seller for immediate replacements. To keep your Amazon Frogbit alive you will need to do a bit of work. Make sure there is only a small amount of water movement in the tank. You will also need a strong light to promote proper growth. Only use these plants in a freshwater aquarium that stays around room temperature. You will need to have a water pH of 6.0 to 8.0. The proper temperature to keep them in is between 64 F to 86 F. These plants are extremely nourishing to your fish. They can even increase the overall health of your tank. The Dwarf Water Lettuce is a plant the grows in both Africa and South America. This plant prefers to grow in slow-moving waters. This plant is perfect for beginners who don’t have a ton of experience in growing aquarium plants. 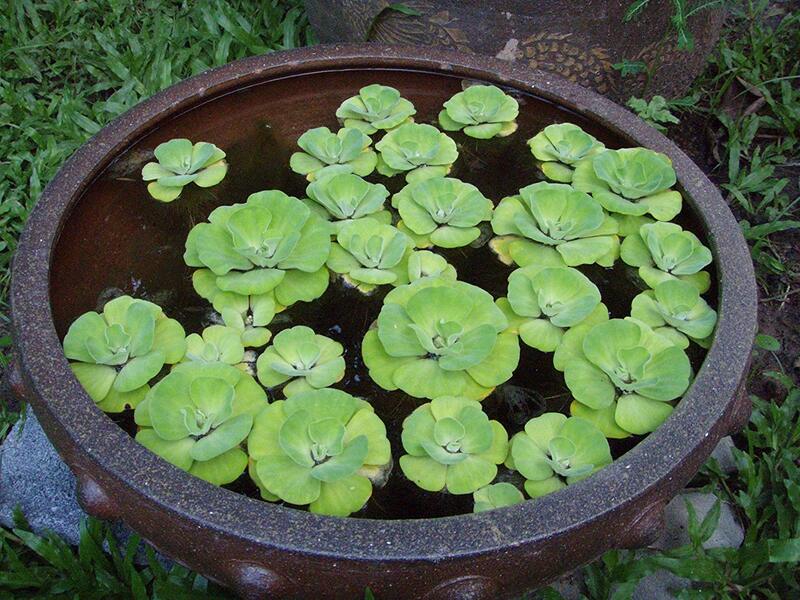 The Dwarf Water Lettuce is a light green color with several leaves. The leaves have a light to dark green hue to them. In a proper environment, each plant can grow to the size of a quarter. Each shipment will come with 12-live plants. Like most plants, Water Lettuce shouldn’t be shipped during times of extreme temperature. If your plants do ship and don’t all make it then you are covered. All live plants have a 100% satisfaction guarantee. This means you can contact the company for a replacement. Overall, these plants are incredibly easy to keep alive with basic requirements. They only need a low amount of light to survive. Even weaker LEDs may be able to promote growth. They also will need to be pruned from time to time, but that just consists of removing dead leaves. Finally, you should have a pH of 6.5 to 7.2 for the plant. 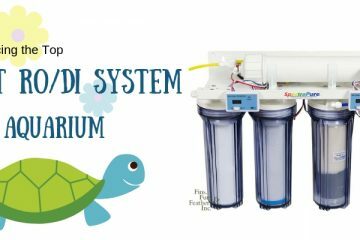 The temperature for the tank should be between 70 F to 80 F. Be sure to use a filter that doesn’t move the water around all that much. This can be a great plant for your fish to snack on when maintained. The Hornwort Plant is also commonly called the CoonTail Plant. It’s a fast-growing plant that is among the easiest to grow. This plant grows in the wild in North America. In fact, it can be all over the country with the exception of extreme environments. This plant has a light-green to yellowish coloring. It is a tall plant that has the ability to grow rooted or floating. In appearance, the plant looks like a cross between pine needles and seaweed. It has spacing between each branching leaf to create a unique appearance. This plant will ship in heights up to 8-inches. It comes with an alive arrival guarantee to protect your money. These plants are sent out in sets of 10 and will grow rapidly once put in your tank. It is a wonderful plant to use for enhancing your biological filtration. This plant is so easy to grow that it has become an invasive species all around the world. It reproduces incredibly fast and should be kept a close eye on. In fact, the plants can even grow up to an inch each week. This plant needs between a 6.0 to a 7.5 pH to survive. The temperature should be kept between 59 F to 86 F. It will require a medium amount of light in order to thrive properly. It also needs a minimum of 15-gallons of water to grow. 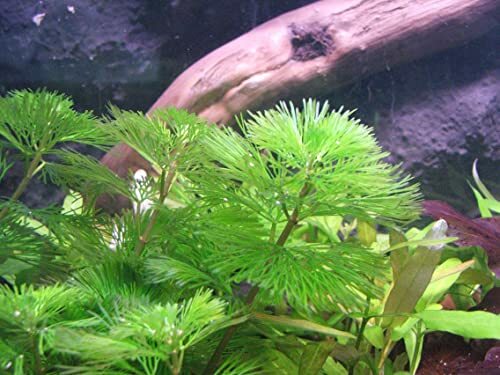 The Aquatic Arts Java Moss loves to grow in tropical environments with a wet environment. In the wild the plant teams to grow in some Southern parts of Asia. It is classified as a water moss thanks to its adaptable nature. It’s typically found in freshwater rivers. 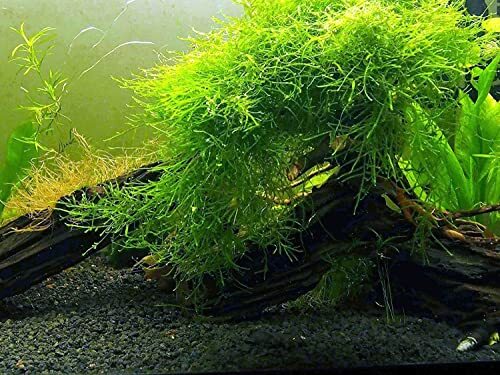 Java Moss has a light-green to light yellow coloring a majority of the time. The plant itself looks almost like a type of underwater grass. The grass-like appearance is made up of tiny leaves that can almost look fuzzy at times. Aquatic Arts will send you enough moss to make a 5-inch by 5-inch blanket of moss in your tank. Some shipments come in a mat that is 24-square inches in size. It comes with a live delivery guarantee to make sure you are confident in your purchase. This plant is another easy one to take care of. It does at a decent rate when undisturbed. This moss will do best in freshwater environments that aren’t too busy. In the wild, it grows in low light areas. You can use weaker LED’s with this plant and still have plenty of growth. 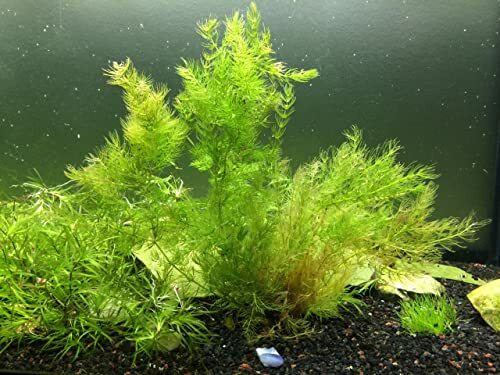 Java Moss needs a pH of 5.0 to 8.0 to thrive. You will need to keep the moss at a temperature of 59 F to 86 F. You won’t need to take time to groom this plant. Just keep a watch on the water to make sure your moss is a healthy color. 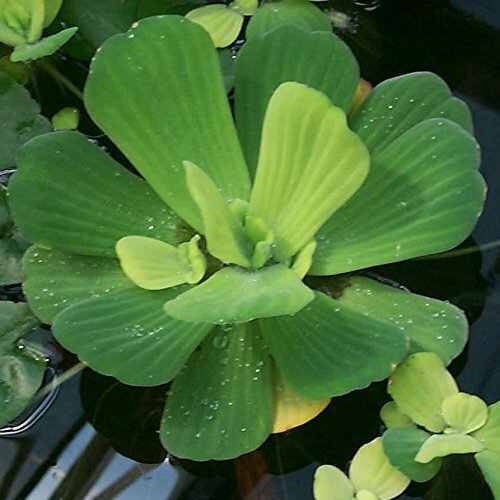 Water Lettuce is a unique looking plant that will perfectly accent your tank environment. This plant is found all around the globe growing in tropical environments. In some cases, this plant will cover the entire surface of a river. Some countries consider it an invasive species. This plant is dark green in color with several leaves. The leaves make a rosette and are thick with no stems. The plant does produce some small flowers, but they generally are hidden in the middle of the plant. The plant is covered hair that helps trap nutrients. This plant will ship to your home with a live guarantee. To get the best results with shipping the order shouldn’t be placed when temperatures are below 20 F. You also should hold off if temperatures are around or above 100 F.
This plant reproduces at an extremely high rate and needs to be maintained to not cover your tank. The plant has a max size of 10-inches per plant. Thanks to its natural habitat, it only needs a moderate amount of light to thrive. Caring for this plant is slightly difficult compared to others. To keep your Water Lettuce alive you will need to keep your temperature between 70 F to 80%. Your pH will need to be between 6.5 to 7.2. They will also need a humid environment to grow in which can be tricky to create. This is one of the best floating aquarium plants for a busy life. No upkeep or having to buy plant growing lights. Floating Moss can be an easy way to add a plant to your tank. The moss doesn’t take care or extensive lighting to be used in your tank. 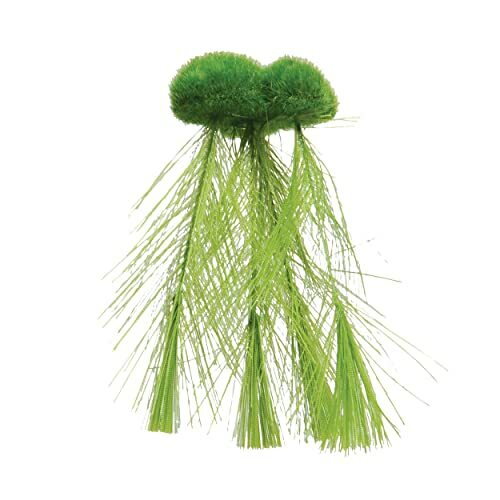 The feathered roots are perfect for your fish to hide in or play with. It works especially well for smaller fish who are generally prey. This plant is deep green in color and has a unique look. Floating Moss looks a lot like a floating ball of grass on the water. The roots are feathered and look like a pine tree branch when in the water. This is a unique plant on the list because it isn’t alive. This makes it a perfect choice for an aquarium that doesn’t use a lot of light. It can also be used in both freshwater or saltwater environments. Best of all you don’t have to mess with the pH of your tank. This is the small option of this plant and it’s manufactured in China. With each package, you will get one plant that measures 5.5 x 3.5 x 5 inches. After you receive this product just rinse it off and drop it into your tank. Above are some of the best floating aquarium plants, but how do you grow them? Well growing plants can either be really difficult or really easy. No matter what type of plant you grow though you will need some basic equipment. For starters, you’re going to need a light. Not just any light, but a light strong enough to be a substitute for the sun. There are tons of great lights out there that are marked especially for aquarium plant growth. Do some research to see how much light each plant needs. Once you have your lighting consider the pH of your tank. If the pH is too high or too low some plants won’t grow in it. You might need to treat the water in order to make it appropriate for plant growth. Luckily, most floating plants aren’t too picky. Next, you want to check the temperature for the plants. Some floating plants are tropical meaning there going to need higher temperatures. Other floating plants may just need to be kept at room temperature. Before you mix and match see if the plants are compatible. You should also know that a lot of floating plants reproduce fast. 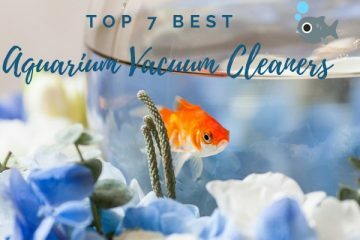 If you don’t keep a proper check on these plants that can take over your aquarium. If you notice that the plants are starting to grow too fast then remove some from your tank. Lastly, many of these plants need to be pruned to stay healthy. If you have a leafy plant be sure to pick off any dead or yellow leaves. This can help your leaves grow and increase the overall health of your plant. Just make sure to never pull off any of the roots. 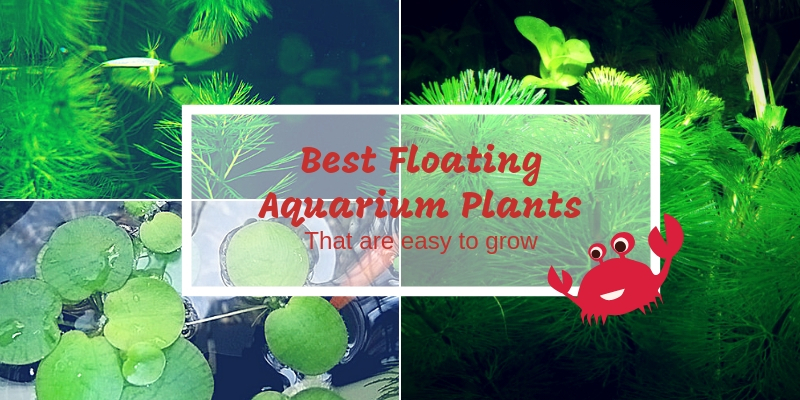 So now you know about some of the best floating aquarium plants. To pick the perfect plant for your tank that you’re going to need to do a little bit of research. Which of these plants would best suit your fish? How big of a tank you have? What is the pH of your tank? Once you have the answer to all of these questions you can begin to pick the floating plant. By matching a plant with the same requirements that are already in your tank it makes sure life much easier.